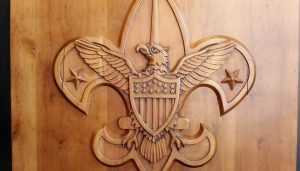 The Boy Scouts of America has hired a law firm to help work through possibly filing a Chapter 11 bankruptcy proceeding. The Wall Street Journal reported on Dec. 12 that the Boy Scouts of America has hired a law firm to help the organization work through possibly filing a Chapter 11 bankruptcy proceeding. 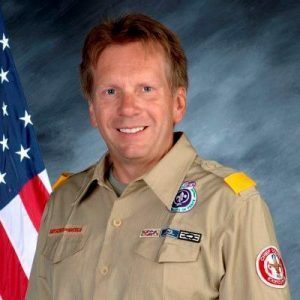 One of the major issues for BSA is the number of former scouts who have come forward alleging sexual abuse, including a recent defeat with a payout of $18.5 million. Chief Executive of the Boy Scouts of America Mike Surbaugh is trying to reassure supporters that BSA is looking into ways to solve its mounting financial issues. BSA Trapper Trails officials said they were instructed to send inquires to the national office. Chief Executive of the Boy Scouts of America Mike Surbaugh sent a letter to employees and news organizations trying to reassure supporters they are looking into ways to solve their mounting financial problems. Surbaugh said the BSA has worked as an organization to keep scouts safe, supported and protected, and prepare them for a future in their program of character development and value-based leadership training. He said BSA has tried to fairly compensate victims who have been abused. The organization has been cognizant of youth protection issues almost since the beginning. A year after BSA was organized, in 1910, BSA instituted character reference checks for Scoutmasters. Their efforts continued and in 2008 they required all volunteers to go through a criminal background check. In 2010, BSA required Youth Protection training for all registered adult members and required it to be repeated every two years. The organization took another hit in May of this year when the Church of Jesus Christ of Latter-day Saints ended a 105 year partnership with BSA. Effective on December 31, 2019, the church will conclude its relationship as a chartered organization of BSA. In a statement from the leader of the faith, the church will remain a fully engaged partner in scouting for boys and young men ages 8­–13 and encourages all youth, families, and leaders to continue their active participation and financial support. The LDS Church was believed to be the single biggest sponsor of Boy Scouts in the U.S., it accounted for nearly 19 percent or as many as 190,000 young men in the organization. LDS spokesmen said the move wasn’t related to the Boy Scouts’ decision in 2015 to allow gay troop leaders, since church-sponsored troops have remained free to exclude such adults on religious grounds.